Druid of the Swarm is a 2 Mana Cost Rare Druid Minion card from the Knights of the Frozen Throne set! Did anyone notice the reference to Metamorphosis in the flavor text? To be clear, this card is a 2 mana 1/5 with taunt, as you will almost never take the poisonous option. Will that be good enough to take up a slot in any deck? I don’t really think so. I actually think this is a card for aggro druid and can replace Tar Creeper – it profits from Mark and is 1 mana cheaper, also provides cover for innervated fledling on turn 2. A 2 mana 1/5 Taunt is an anti-aggro monster. To pass it, a Pirate Warrior would need N’zoth, Hook, Patches, and the 2/1 Charge to kill it reliably. That slows them down considerably. And the people saying, “lul Silverback didn’t see play why would this” seem to forget that Patriarch was a 3 mana 1/4 as opposed to a 2 mana 1/5. It’s more impactful, more early on. The 1/2 Poisoned is meant to be played alongside other minions, where it can tag something that shows up as a big threat unless an enemy uses control cards on it. You know, flexibility. What Druids are kinda known for with their “Choose One” cards. ‘Course, with Staghelm, you get both a 1/2 Poisoned and 1/5 Taunt. That’s pretty sweet. 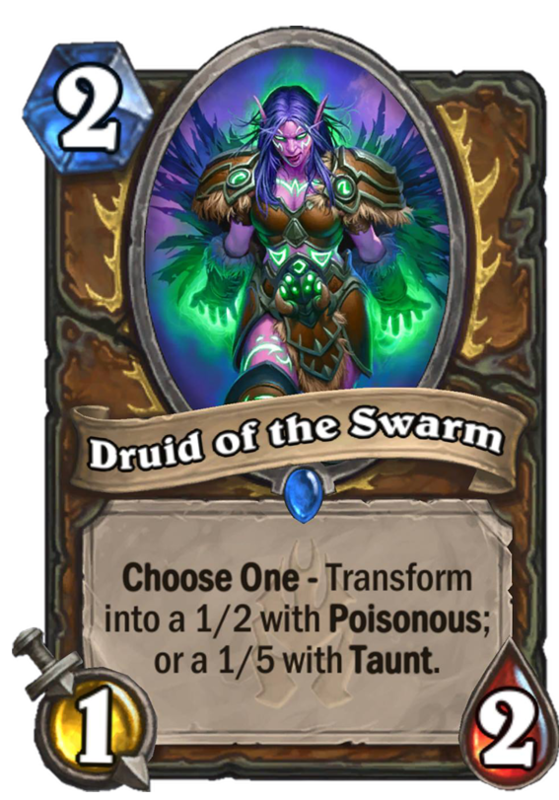 I think this card is going to see a lot of play in slower Druid decks. 2 mana 1/4 taunt doesn’t see play, would 1 health make so much diffrence? I don’t think so. 2 mana 1/2 taunt and poisonous doesn’t see any play, I don’t a 2 mana 1/2 poisonous without taunt would see any play either. To summarize, this card is overrated. It can when you’re dealing with Pirate Warriors that can deal 4 damage on turn 2. This will at least survive more often than not in that situation, and while yes, 1/2 poisonous with taut doesn’t see play, but the main appeal I see with this card is its versatility similar to Druid of the Saber from The Grand Tournament. It can be 2 mana corruption or a better Silverback in this case. Remember we have a 2 mana 1/4 taunt in standard right and it doesn’t see any any, and 1 more health on a 1 attack minion doesn’t make that much of a diffrence. Bro I feel bad for silverback Patriarch this is a 2 mana 1/5 taunt at least with a situational ability. I am interested to see if it is possible to make a deck solely based around using potion minion for Druid. Regardless I think it is a neat cards that I would love to play. Ah, the druid transform minions. Shame they haven’t seen much play. This card has cool flexibility, though I’m not sure it’s good enough to show up on Druid’s radar. As we’ve seen in the past, flexibility hasn’t been enough to get these things play if one form isn’t just good on its own, and I’m not convinced either of these are. One form is worse Stubborn Gastropod, which doesn’t see play, and the other is the 2 mana 1/5 taunt, which we haven’t seen. This card very well might see play if Aggro stays big as a Druid anti-aggro option, but I think I’d rather just stick it out for a turn and use Tar Creeper. Druid has more important stuff than this on 2. Pass. I’m assuming, by the way, that Fandral makes this a 1/5 Taunt Poisonous? That’s pretty disgusting, though won’t happen much and will almost never happen on turn 2. 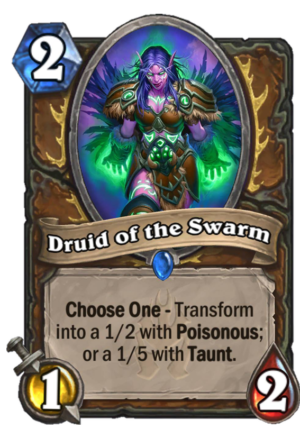 Loving the new druid, can’t wait for this expansion. Do you play Stubborn Gastropod? No? 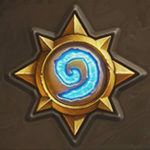 Do you play Silverback Patriarch? No? Then there’s no reason to play this card. 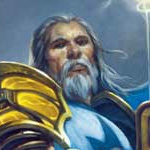 Do you play Goldshire footman? 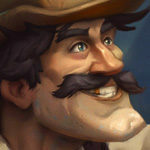 Do you play Sen’jin Shieldmasta? No? Then why would you play sludge belcher then? Because it turned out to be pretty good. Don’t be so rash. Thank you, good sir, for this savage smackdown. If you read my comment again, you would understand that my point was that this is a good card; it was an opposition to Mr. Logic’s aka GRockGames statement. The reason for my comment was that I don’t really think this card should be compared to Silverback Patriarch since it costs one less with one more health (as a taunt option) with the flexibility to be a poisonous minion, but sure, if Mr. Logic was sarcastic, I’m sorry, but it surely was hard to see through. You forget there is far more versatility with this card than either of those. Plus, this can be a 2 mana 1/5 rather than a 3 mana 1/4, which would kill any and all momentum Pirate Warriors need in the early turns. Even the 1/2 poisonous can be rather good in the late game if you can afford being a little slow, and unlike Gastropod, this doesn’t put itself front and center, so say on turn 9 you could play Ancient of War and this to both defend yourself and put up a decent threat on late game minions. What is druid doing with all these 1/5s? Forcing their opponent to overload the board into their non-existent aoe? Let us all take a moment of silence for the silverback patriarch. A 2 mana card has superior stats plus flexibility. Good night my sweet prince. A pity you can’t be dusted.